Maitreyee's childhood fascination for the arts, specially the folk forms of music and dance, took her to the deep interiors of rural Bengal, Bihar and Orissa in search of her objective - the preservation, promotion and propagation of the folk culture of rural India. For a better understanding of the folk form, she found it necessary to learn a classical form of dance. 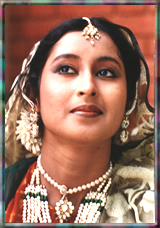 After her initial training in Kathak, she joined Kathak Kendra in Delhi. She is also a graduate of Rabindra Bharati University in Kolkata, majoring in Manipuri Dance (for which she was awarded a gold medal). Maitreyee has performed widely all over India and abroad. She has helped co-ordinate and choreograph numerous events for the ICCR, Sangeet Natak Akademi and the Department of Culture, like - Lok Tarang; Octave; U.N. – 60; SAARC Summit; Rajasthan Day; Pravasi Bharatiya Divas; Regent Street Festival-London; Days of Delhi-Moscow and India@60-New York. She has also choreographed several productions for private institutions and organizations. Awarded the Charles Wallace Fellowship in 2003, she visited England and Scotland for dance workshops, choreographic collaborations and performances. She is the Director of Lok Chhanda Cultural Unit, an institution dedicated to the rapidly depleting folklore of India.